MAKE EVERY JOURNEY A NEW ADVENTURE. The Hyundai i20. With an expansive array of features and designs, the i20 has been nurtured to suit your needs best. With the fantastic safety innovations, all the way down to the fast and spontaneous driving response, i20 is built to take you to the shops for your milk, or on a long and adventurous road trip in style and comfort. Shift gears, shift mindsets. Hyundai i20. Generation 2 (2014 - Present). With the first generation model of the Hyundai i20 being launched in 2008, the family has come a long way in improving their product. The latest generation, which is the 2nd in line was launched back in 2014. The design team has created a bold front aesthetic that now features a distinctive dual-element grille. The upright chrome-framed hexagonal grille has been lowered for design and engineering purposes, while a thin, horizontal grille connecting the bi-function headlamps (incorporating daytime running lights), emphasises the width of the vehicle. Reinforcing the vehicle’s purposeful stance, the wheel arches subtly flow into the long hood. The A-pillars are thinner, shorter and more upright, achieved via the use of advanced high-strength steel. The redesigned pillar creates more interior space for occupants as well as enhancing the driver’s field of vision, making exiting junctions safer and manoeuvring in tight city spaces easier. Thanks to its increased dimensions and ergonomic cabin packaging, the i20 is one of the most competitive cars in its class for interior spaciousness. The new model is longer, wider and lower, providing Hyundai Motor’s designers with more space to create a genuine five-seater for the B-segment, with the new model now yielding a more substantial cabin space. With a larger platform than its predecessor, the wheelbase of the i20 is 45 mm longer (now 2570 mm) than the outgoing model, meaning the wheels are closer to each corner. The European design team paid particular attention to achieving balanced proportions, with the generous shape and long hood creating a powerful stance. The i20 is available with a choice of two Hyundai ‘Kappa’ petrol and two ‘U-II’ diesel power units. Proven powerplants have been carried over from the previous-generation model with a number of improvements to enhance driveability and ensure compliance with new Euro6 emission regulations. Hyundai’s European engineering team focused on developing powertrains to better suit the demands of the region’s buyers. Hyundai engineers tuned each unit to deliver more maximum and low-end (2000 rpm) torque, enabling a more accessible and responsive driving experience day-to-day and better acceleration at higher speeds. 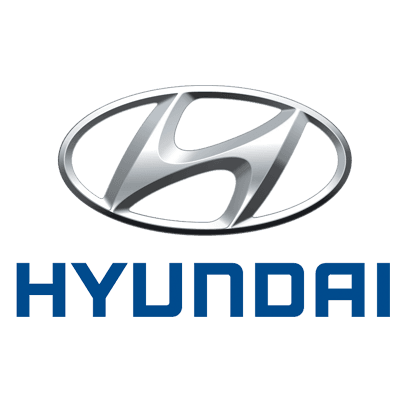 Utilising the company’s large engineering and testing presence, Hyundai has tuned every element of the to optimise ride and handling characteristics for European roads. It sits on fully-independent MacPherson strut suspension at the front and semi-independent coupled torsion beam axle at the rear. Hyundai’s engineers have also upgraded the two systems to exploit the new car’s larger footprint, its significantly stronger structure and altered weight distribution. The 64% stiffer bodyshell, combined with longer wheelbase (+45 mm) and increased tracks offer noticeable gains in cornering stability and grip. Embodying Hyundai’s approach to delivering value beyond expectations, the i20 is fitted with a number of new technologies straight from the D- to the B-segment to further help it stand out from the competition. The car features two unique comfort-orientated technologies, which were first fitted to the Hyundai i40: automatic windscreen defog and a heated steering wheel. Other new features include a dashboard-integrated seven-inch satellite navigation system (the first time Hyundai Motor has applied this technology in its B-segment car), automatic folding door mirrors, front and rear parking assist, and smartphone docking integration. Every i20 model is fitted, as standard, with Electronic Stability Control (ESC) and Vehicle Stability Management (VSM), which work in combination to reduce wheel spin or loss of vehicle control on low-friction road surfaces. The ESC has been carefully tuned to be as unobtrusive as possible during driving, creating a natural and comfortable driving experience. Also standard on New Generation i20 is Hyundai’s Emergency Stop Signal (ESS) system, which activates the hazard warning lights if a driver suddenly brakes heavily, warning drivers of following vehicles of the car’s rapid deceleration. The application of brake tie rods within the brake booster provides a number of benefits to customers: improved braking strength, better braking stability, increased brake pedal feel and a reduction in ambient vibration.